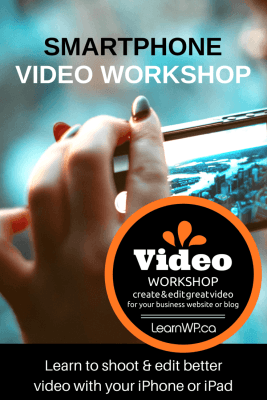 Learn to shoot and edit video with your smartphone or tablet and upload it to your WordPress website or blog. Explore free editing software and learn how to embed your video into your WordPress website. Cindy Burgess has been telling stories with video for more than 20 years. She’s worked in all aspects of the broadcasting industry – both in front of and behind the camera – in markets across Canada, the United States and Central America. Her many skills include producing, shooting, editing, scripting, reporting and hosting. Cindy now runs a video production service called PRO VIDEO CONTENT and teaches video storytelling at the college and university level. To be added to the wait list for the next Smartphone video workshop leave a comment below or send us an email. We don’t have anything scheduled at the moment but we will let you know. Toronto WordPress Intensive – with Gutenberg – May 9 & 10, 2019. SEO for WordPress – May 24, 2019. 1-day WordPress for Artists – May 31, 2019. All workshops are held at the Canadian Training Centre in Staples – located at 1750 The Queensway, Etobicoke, Ontario. I totally recommend LearnWP for anyone who wants to get a good handle on SEO. We’ll definite put these into play right away. This is the second course and Ruth & Dawn and the WordPress Intensive and learned enormous amount and was able to put it it immediately. Ruth and Dawn are skilled facilitators and teachers. They are able to accommodate the needs of participants with various learning needs. As a person who has limited experience, I felt that there was amble support and patience. 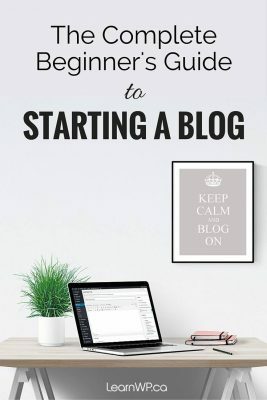 I like the idea of gaining more control over my website by learning how to navigate WordPress. The LearnWP Toronto Workshop was very helpful to me. I will apply the things that I learned to the corporate website that I maintain. I plan to take some additional courses through this company.” – Marketing Manager, KPM Industries Ltd. Thank you for a very informative and easy to understand WordPress workshop. I walked away feeling confident enough to maintain and edit our website. Looking forward to the next session on SEO! The course was immediately helpful. I know that I’ll be able to create a professional website from all the things I learned with Ruth & Dawn. Well paced and well explained.